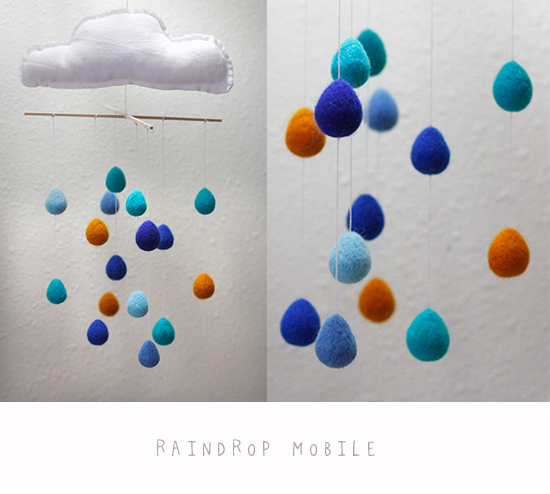 Some time back last year, I made a bunch of felted raindrops which I had planned to make a toy mobile with (see post). It took a bit of experimentation, and a lot of willpower to overcome my inertia, but I finally completed it! 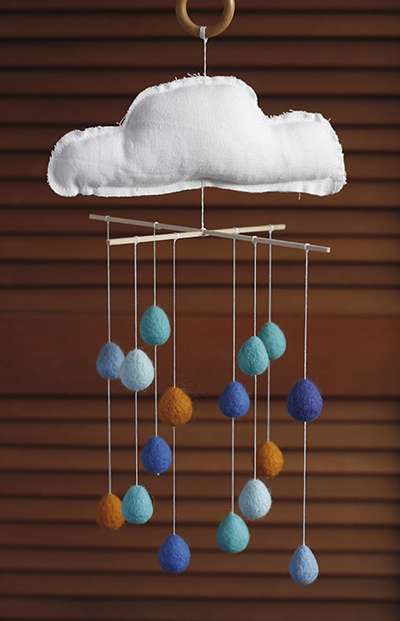 It’s called promise rain, inspired by Isaiah 44:3. How precious, the promise of rain is, a gift bringing forth life and blessing. Here’s a little family history. 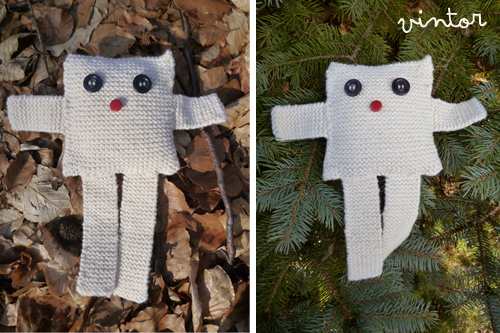 Vintor (not in photo) has been given away to a good home in Tasmania, to my very own baby niece! 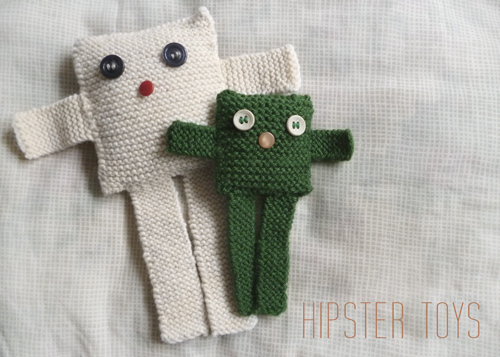 As for Herbie, due to his amiable nature, I’ve gotten a couple of requests, so he now has two ‘descendants’. Next, we have Megamind, cos you know, he is a giant blue head. Then we have Oscar, who is by no means a grouch; he’s really a dark grey softie. 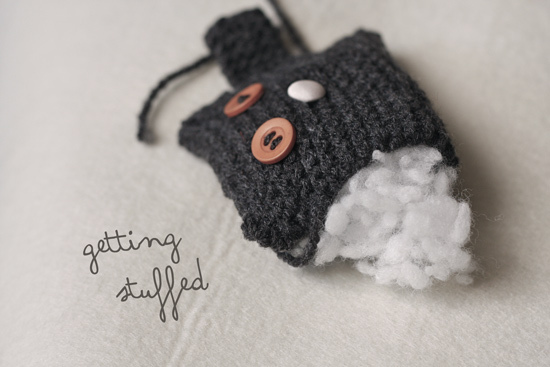 Finally, little Bumble Bee, super quiet and shy, but irresistible all the same. Here’s the deal. I’m looking for good homes for these babies, for any donation* (I was going to sell them for S$14) but I’ve decided otherwise. 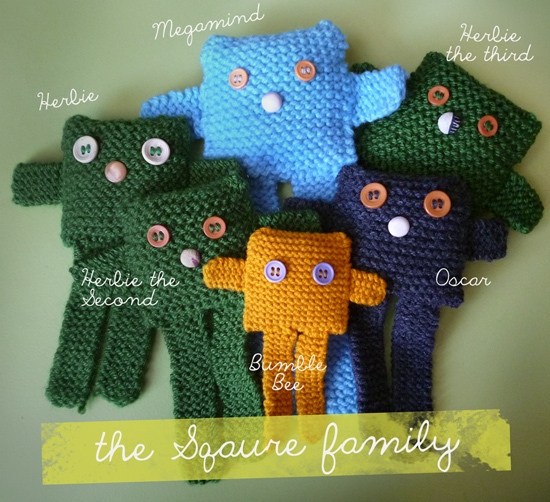 It feels a little cruel selling them… So if you are wanting to adopt any, post a comment or something. Note: All the Herbies are taken. and this is Vintor, the not-so-little one. Vintor is pretty outdoorsy. 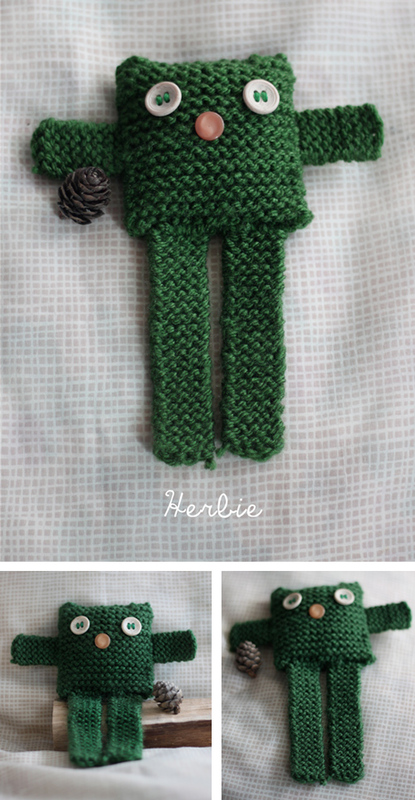 introducing Herbie, the little green one… Herbie has a pet pinecone. so we were at an orphanage in Romania, a few friends were sorting through piles of donated garments, and they find a bunch of super cool vintage knitted toys. It was love at first sight… so I wanted to make some.